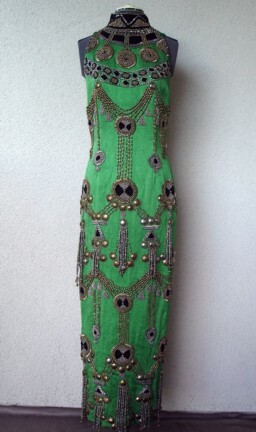 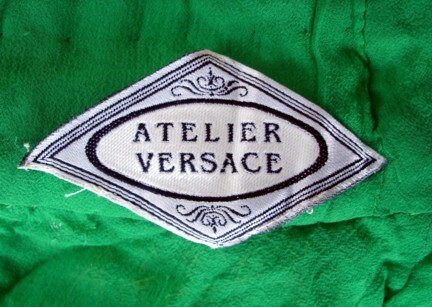 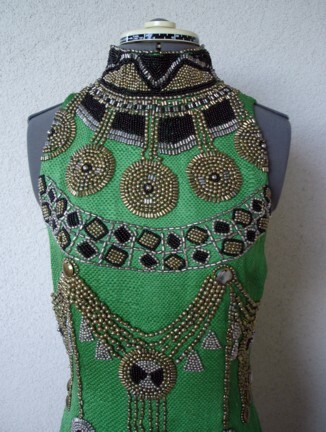 Museum quality one-of-a-kind circa early 1990's heavy emerald green silk sheath style dress designed by Gianni Versace. 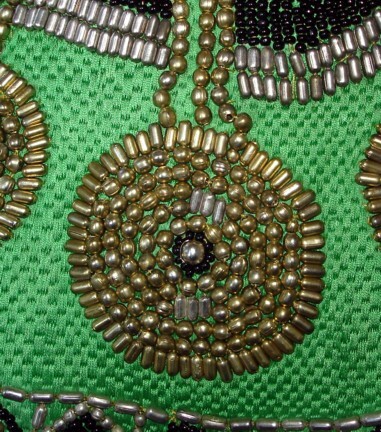 Featuring heavy hand beaded ethnic style heavy brass and goldtone beadwork. 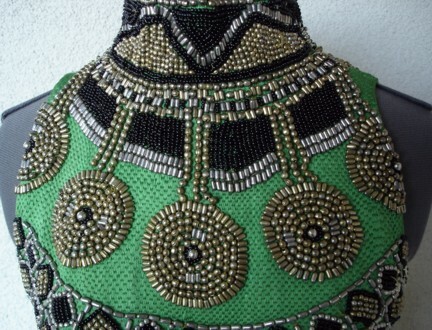 It has been suggested by V& A Museum that beadwork on this dress is very similiar to another one-of-a-kind gown made for Princess Diana circa 1991 and she is seen photographed in it many of the Versace books. 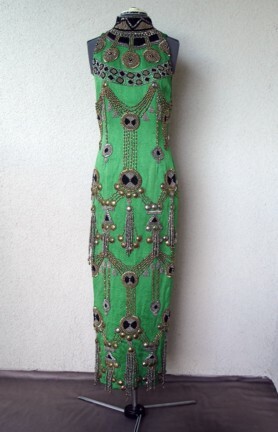 Bust: to 35"; waist: 29": hips: 37"; length: 54"